Mose is four weeks old. I can’t believe that our little Mose is four weeks old. It seems like he was born just yesterday. Time has just flown by so quickly. Mose with one of the kids, Bianca. He definitely doesn’t look like a newborn foal, though. He’s grown so much in the past few weeks, and his personality is really starting to show. He’s a very quick learner, too, and is doing so well with having his hooves cleaned everyday and with being led. Of course, he’s also a playful and friendly little fellow. He always seems so happy to see me everyday, but then again, I’m always happy to see him, too. Myrtle’s next appointment with our farrier will be in about a week, and that will be little Mose’s first appointment, too. We’re lucky in that we have a farrier that is great with donkeys, which can be difficult to find. I’ve worked with Mose everyday, so I’m fairly confident that he will make me proud and be a good boy for his first trim. 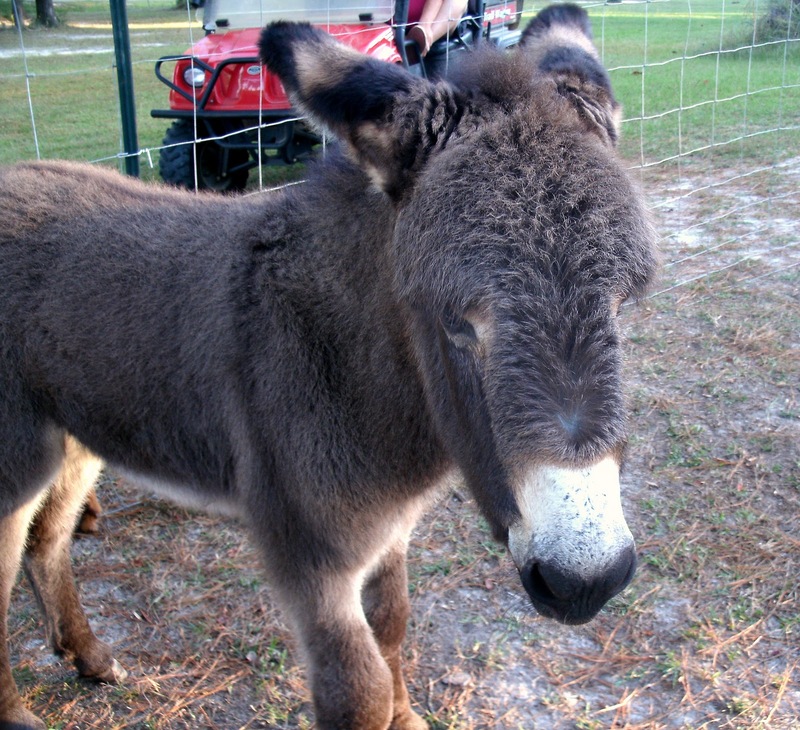 You know, I hate to say it, but I wasn’t excited about having a donkey when we first got Myrtle. Not to say that I didn’t want her because I did, but that it had never occurred to me before to want a donkey. She very quickly changed my mind. 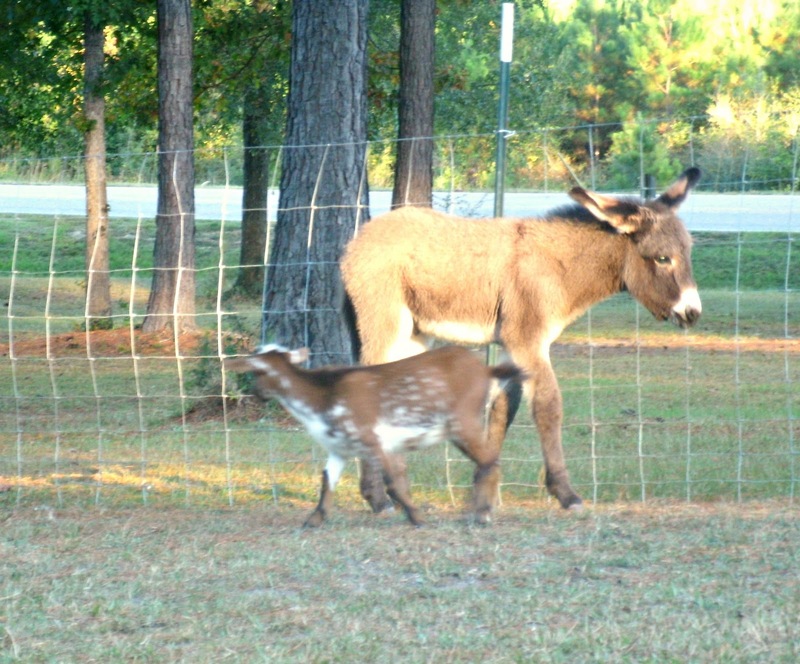 Then, her baby came along, and he’s turned me into a donkey lover for life. My favorite part of every day is spending time with Mose in the afternoon. Mose with Myrtle in the background. 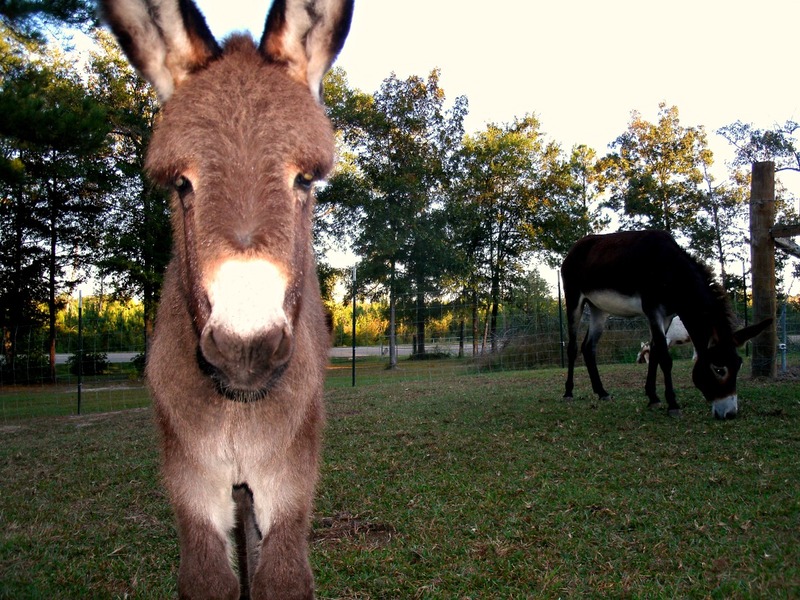 Donkey Fact: Donkeys have a bad repuation for being stubborn. Their personalities are actually less about stubborness, and more that they have a much stronger sense of self preservation than horses. Previous post: Going to the rodeo parade. Next post: Peanuts and Mose!